Wendy's is an international chain of fast food restaurants with locations all over the World. Wendy's is headquartered in Dublin, OH. "Wendy's [was] founded by Dave Thomas in 1969 in Columbus, Ohio. As of December 2006 Wendy's was the third largest hamburger fast food chain with approximately 6,700 locations after McDonald's (31,000 locations) and Burger King (11,200 locations). On April 24, 2008, the company announced a merger with Triarc, the parent of Arby's. Under the new owner the company will remain headquartered in Dublin, Ohio. "Wendy's International is the parent company of Wendy's, and is a publicly traded company. Approximately 77% of Wendy's restaurants are franchised, the majority of which are located in North America. Wendy's and its affiliates employs more than 46,000 people in its global operations. In fiscal year 2006, the firm had $9.45 billion (USD) in total sales. While Wendy's sets standards for exterior store appearance, food quality and menu, individual owners have control over hours of operations, interior decor, pricing and staff uniforms and wages. "Wendy's menu consists primarily of hamburgers, chicken sandwiches, French fries and beverages. The company does not have a signature product such as the Whopper or the Big Mac, instead the burger patties it uses in preparing its sandwiches are its signature item." 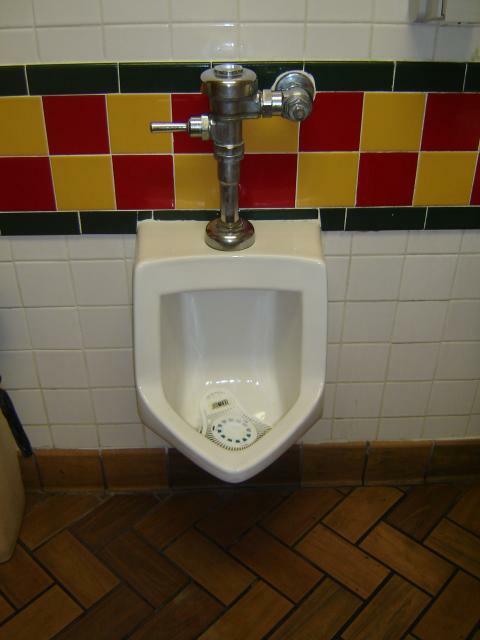 This first photo was sent in by SB in 2008 from an Orlando, FL restaurant. 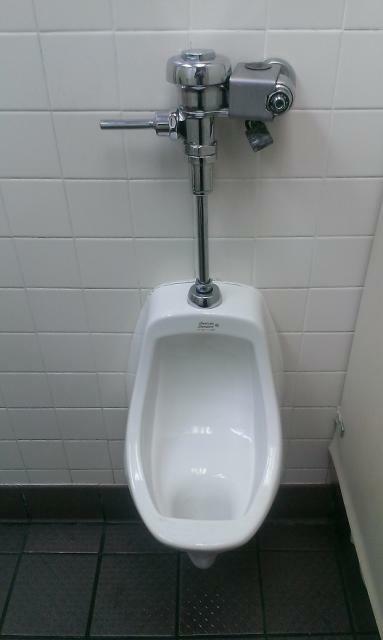 This very unique installation was photographed at a Miami Gardens, FL Wendy's in 2014. 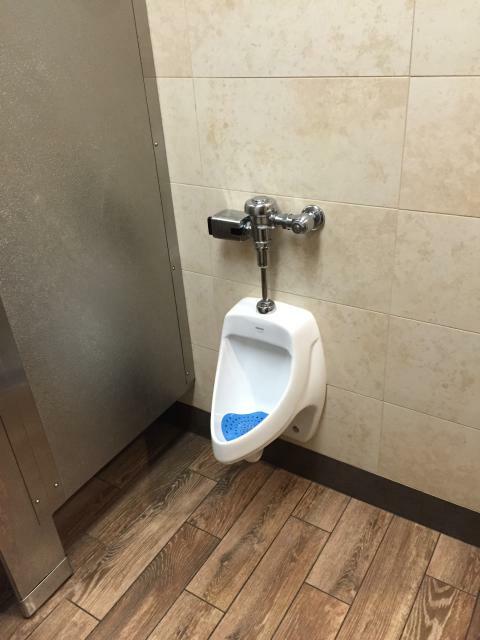 This photo was taken and sent in by TM, who writes that he is baffled by the lock attached to the flush valve of this urinal. The purpose of this lock is entirely unclear. This picture was taken by AS in 2016 at the Appleton, WI Wendy's.